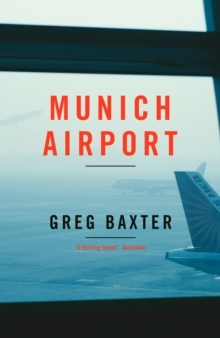 Munich Airport: the brilliant new novel by Greg Baxter. An American expat in London, about to enter a meeting, takes a phone call. The caller is a German policewoman. The news she has to convey is almost incomprehensible: the man's sister, Miriam, has been found dead in her Berlin flat, of starvation. Three weeks later, the man, his elderly father, and an American consular official find themselves in an almost unbearably strange place: a fogbound Munich Airport, where Miriam's coffin is to be loaded onto a commercial jet. 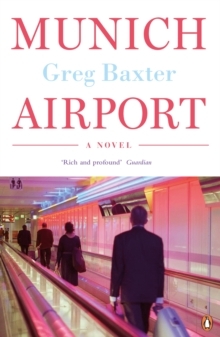 Greg Baxter's extraordinary novel tells the story of these three people over those three weeks of waiting for Miriam's body to be released, sifting through her possessions, and trying to work out what could have led her to her awful death. Munich Airport is a novel about the meaning of home, and about the families we improvise when our real families fall apart. It is a gripping, daring and mesmeric read from one of the most gifted young novelists currently at work. Greg Baxter was born in Texas in 1974. He lived for a number of years in Dublin, and now lives in Berlin. He is the author of two previous highly acclaimed books: A Preparation for Death, a memoir, and The Apartment, a novel. "This rich and profound book is full of philosophical ideas and stark, ascetic beauty...The writing is scrupulous and often superb...I wholeheartedly recommend Munich Airport to everyone interested in the ongoing and fascinating human conversation that is first-rate fiction". (Guardian). 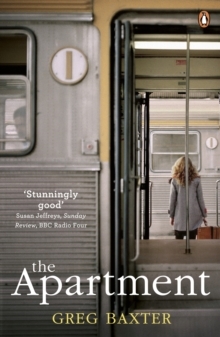 "Quiet but mesmeric...The three central characters are beautifully drawn, their personalities unveiled for us during a series of understated revelations...It is a novel that, without a trace of sentimentality, is about the importance of family, and conversely how the existential loneliness of each of the characters has impoverished their lives". (Independent). "A story ...about the age in which we live, the nature of consumption, and the terrors that beset us and alienate us from ourselves and each other...So much more bracing and consequential than the bulk of contemporary fiction". (Irish Times). "Assured and fluent ...a forensic examination of what it means today to be a man, and to be human". (TLS).